Win big (up to $130 in freebies!) and become an official Romwe Fashion Blogger. $100 in freebies for 3 lucky winners! Awards are for bloggers with the most “likes”, most “fans” and best style. …And each qualified participant will also receive $30 in freebies. You can join Romwe if you have 2000 or more fans on your FB fan page. 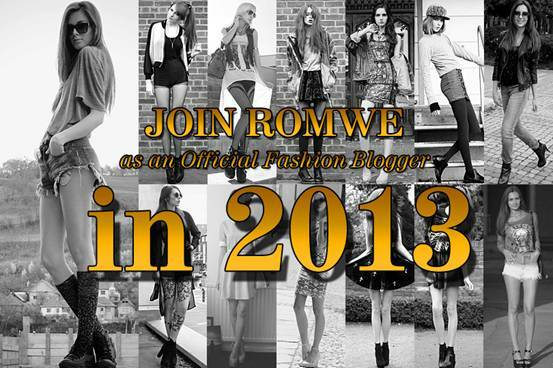 Youwill also have the chance to become a Romwe fashion blogger. Contest awards not available to current Romwe Fashion Bloggers.